Television was never a big part of my family’s life. But, my parents were devout watchers of a sitcom, which due to the laughter in the background, I termed “The Funny Show.” I was never allowed to watch along with them when I was young, but grew to be a true Seinfeld lover when I grew older. (As a classical music lover, I must digress to note one of the reasons why I love Seinfeld so much: its episodes geared for the classical music community. Who can forget Crazy Joe Davola dressed up like Canio from I Pagliacci? Or Elaine’s classical music conductor boyfriend?) The reason I mention this is because my first introduction to Burma/Myanmar was actually through Seinfeld. As devotees of this program well know, Elaine’s boss, Peterman, would constantly bring new fashions from the country back to the United States. However, this was not my only knowledge of this country. Most recently, during a 4th of July family get-together, I had the opportunity to meet the girlfriend of one of my father’s cousins. They have since married, but at the time, she was a Ph.D. candidate at the Lutheran School of Theology in Chicago. She is from Burma and we had a very interesting conversation regarding her life growing up in this country. Through what she described, I saw Burma as more than just Peterman’s stomping ground and Aung San Suu Kyi’s fight for democracy. 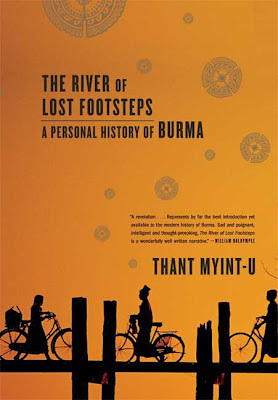 The River of Lost Footsteps: A Personal History of Burma by Thant Myint-U is an incredibly interesting book. Similar to the Iranian author whose book I read, this author is an excellent ambassador due to the diversity of his experiences. He is the grandson of former UN Secretary General from Burma, U Thant. He spent much of his childhood in the United States, experiencing the strong influence of the western culture, while preserving his unique Burmese heritage. The author states in the beginning of the book that it is his goal to give the reader a sense of Burma. He states that in order to understand the current political and social changes that have taken place in modern Burmese history, it is first important to understand the past. And he delves deep into the past, but in a manner that is quick-to-read and easy to understand. The book starts explaining the events of 1885 with the fall of the Burmese monarchy: why the monarchy fell, European colonial ambitions, and how it affected the internal situation of the country. 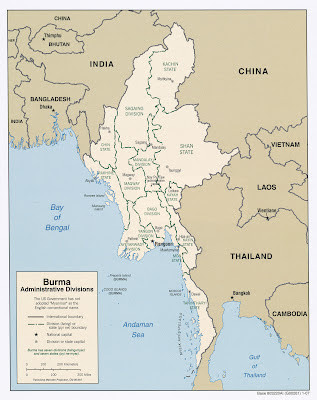 Burma can be characterized by its diversity of ethnic groups. A part of the ancient Chinese Silk Road, it was constantly influenced by outside forces. The monarchy was often seen as a way of preserving power and negotiating between these many ethnic groups and tribes, as the kings would often marry daughters of the chieftains to negotiate peace. Thus, when Great Britain’s colonial aspirations led it to take over the country (in a manner that infuriated many of the Burmese population and left many enemies), the centralized power began to fall apart at its core. There was no longer one unified Burma. The author then goes on to describe more recent Burmese events: Burma’s involvement in World War II, the rise of the military dictatorship, and popular Burmese figures, including his own grandfather. Throughout the book, there is a personal touch, as the author describes his own family history and how the events of the world personally affected their lives. 1.) How far in time must one go back to get a true sense of the history of a country or a place? 2.) What was the impact of European colonial ambitions on Burmese society? How can we compare these with the history of other countries who were colonized by the European world? 3.) 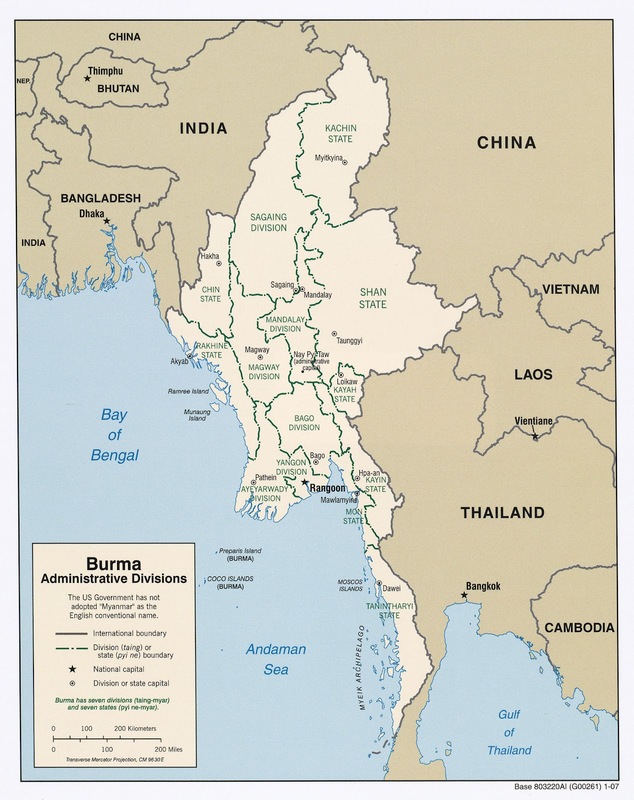 How did freedom movements manifest themselves in Burma? How do freedom movements generally manifest themselves? How should we, in the international community, react to such movements?